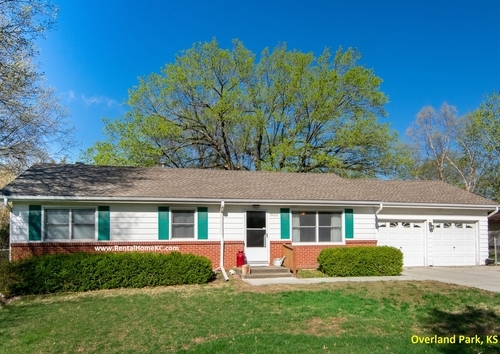 This roomy true ranch has newer carpet, paint, kitchen cabinets, bathroom fixtures. The kitchen features gas stove, granite countertops and natural stone backsplash, new flooring and includes the refrigerator. The updated baths also have solid surface countertops and tile flooring. All 3 bedrooms are nice sized and the master has a private bath and double closets. Lots of windows provide ample light in every room. The unfinished basement provides a great shop area, huge play room and tons of storage. High efficiency HVAC system and extra insulation added. The home has a beautiful big nearly level lawn and is conveniently located on a quiet street just east and north of 95th and Metcalf. Sorry, No Pets.